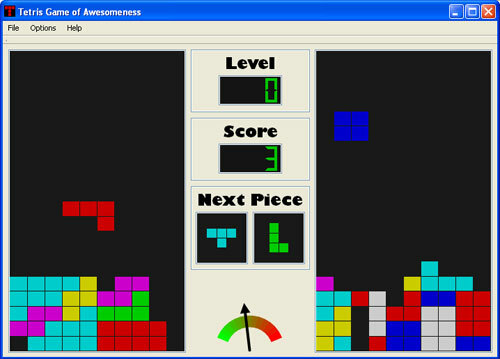 For my C++ programming class this semester (Me En 570), I made a Tetris game. It has both a one-player and a two-player modes, music, sounds effects, and even a Google-O-Meter that indicates who’s winning! Click here to download and start playing the game. It’s been a lot of fun to create, and I’ve really enjoyed it.